Microneedling, originally known as collagen induction therapy or percutaneous collagen induction (PCI), is now a well-documented treatment option in atrophic acne scars and for skin rejuvenation. The therapeutic indications for this treatment option have increased over the last few years to include transdermal drug delivery, treatment of periorbital melanosis, actinic keratosis and varicella scars. Previously used on its own, it is now increasingly combined with other modalities such as photodynamic therapy to obtain ideal results. Microneedling, as the term indicates, means the use of needles or ‘microneedles’ to achieve a therapeutic effect. The technique of microneedling was innovated by Fernandes in 20061, prior to which it was Orentreich et al in 1995 who successfully reported the use of needles in the treatment of acne scars by method of subcision2. This was followed by the use of a tattoo pistol for needle dermabrasion by Camirand and then Doucet in 1997 for the treatment of scars3. Microneedling as a treatment option in post-acne scars has been described by many clinical studies to date4,5,6. Production of a demarcation current: it has been hypothesised by Liebl that when the microneedles penetrate the skin, a demarcation current is produced among cells rather than wounds8. It is the demarcation current that triggers a cascade of growth factors that stimulate the healing phase9. This hypothesis, based on the generation of bioelectricity, was proven by Jaffe10. In resting state, the interior of epidermal cells have a negative electric potential of -70 mV whereas interstitium and epidermal surfaces have a positive potential. Epidermal injury causes the release of potassium and proteins into the interior of epidermal cells, further decreasing the electric potential to -120 mV or less. This leads to an increase in the potential difference between the interior of the cell and the exterior environment. It is claimed that this potential difference triggers the migration of fibroblasts to the site of injury where they proliferate and lay down collagen10. 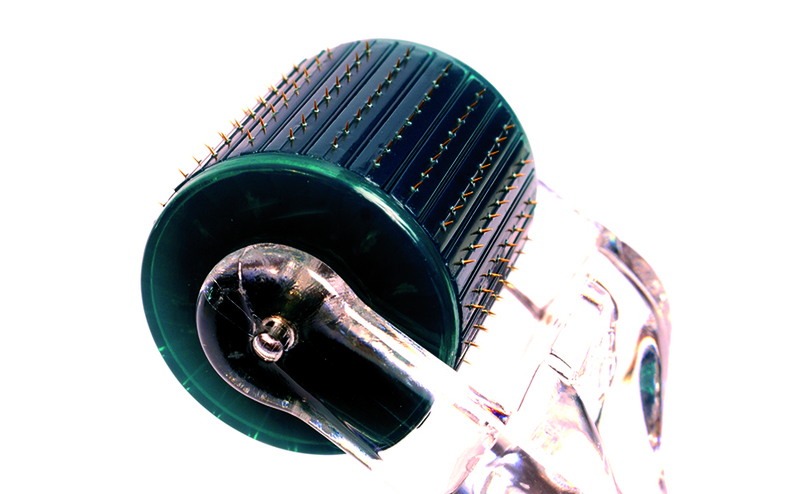 The original instrument used for microneedling is popularly known as a ‘dermaroller’. A dermaroller is a simple, hand-held instrument consisting of a handle with a cylinder studded with sterile, fine, stainless steel needles of 0.5–2 mm in length. There are usually 192 needles and they are spaced at regular distances from each other. 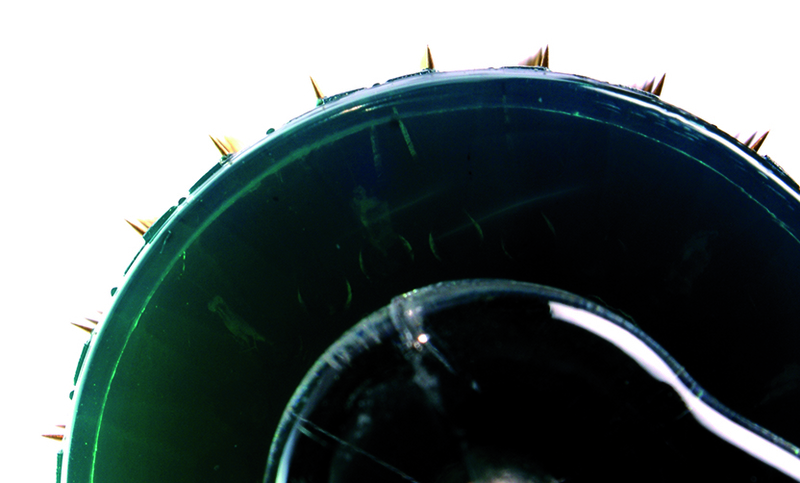 In order to achieve a uniform depth of penetration, the needles are placed at an inclination of 15 degrees in relation to the surface of the dermaroller. The microneedles are synthesised by reactive-ion etching techniques on silicon or medical-grade stainless steel. To achieve the therapeutic benefit, this needle studded cylinder is rolled on the skin in multiple directions and hence the name ‘dermaroller’. As the therapeutic use of microneedling has been extended beyond scar management, various modifications have occurred since the dermaroller was originally introduced. Home-care dermarollers, with needles less than 0.1 mm in length have been introduced for transdermal delivery of substances like lipopeptides and other anti-ageing products. There are no scientific studies documenting the efficacy of these devices in different indications. Another modification includes a miniature version of the dermaroller called a dermastamp, which has needles of 2 mm in length and diameters of 0.12 mm. Dermastamps are used in the treatment of localised scars like varicella scars. Microneedling is usually performed under the influence of a topical anaesthetic cream. The cream, which contains an eutectic mixture of lignocaine and prilocaine/tetracaine, is applied for a minimum of 45 minutes before the procedure is started. The needle length selected for an individual patient depends upon the indication for microneedling. For treating acne and other scars, the needle length should be selected on the basis of depth of the scars present. However, as a routine, a needle length of 1.5 mm–2 mm is usually used for acne and other scars. Similarly, when microneedling is used as a procedure to treat ageing and wrinkles, the needle length should be selected on the basis of the depth to be reached in the dermis for that indication. Here, 0.5 mm or 1.0 mm long needles are usually recommended. After achieving adequate anaesthesia, the area to be treated is washed with saline and then ethanol solution to obtain an aseptic field. The instrument is then held in the right hand like a pencil and rolled in three different directions on the treatment area. In the case of scars, each individual scar is identified and the procedure is performed after stretching the skin mildly with the left hand so that the base of the scar is treated correctly. Uniform formation of small pinpoint bleeders on the scar, including at the base, mark the treatment endpoint. The bleeders are simply washed off with saline solution and the patient can be given a simple non-comedogenic antibiotic cream to be applied to the treatment area for about 3–4 days after the procedure. Sun avoidance and regular sunscreen use is recommended in the post-treatment period. The small pinpoint injuries on the treated skin heal within 2–3 days with no post-treatment sequelae. Treatments with the dermaroller are performed at 4–8 week intervals and multiple sittings are needed to achieve the desired effect on the skin. The final results cannot be viewed immediately because new collagen continues to be laid down for approximately 3–6 months after treatment has ceased11,12. 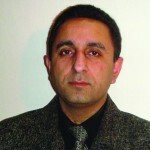 The outcome can be improved by ensuring that the patient receives proper counselling regarding multiple sittings; good quality instruments are used, which should prevent needles breaking in the skin; the patient practices photoprotection for a week post-procedure; and proper intervals are allowed between subsequent sittings13. Although microneedling was initially proposed as a treatment modality mainly for scars and wrinkles, its use has also been extended to stretch marks, facial rejuvenation, and transdermal drug delivery6, 13, 14, 15, 16. Scar treatment still remains a challenge for practising dermatologists. Scarring continues to be a distressing condition for the patient, especially when it involves the face at a young age, this is seen commonly after acne. Post-acne scarring, besides causing cosmetic disfigurement, leads to psychological issues in this age group17. The various treatment options used to manage post-acne scars include surgical techniques (punch graft, punch excision, subcision), resurfacing techniques (dermabrasion, ablative laser treatment, chemical peel), non-ablative laser treatment, autologous fat transfer, and injection of dermal fillers18. Each of these techniques has variable clinical outcomes and complications, and to date no treatment has been universally effective for the treatment of acne scars. Post-acne scars have been classified into many morphological types, such as pitted, rolling, boxcar, linear, and hypertrophic scars. Post-acne scars have also been graded into four different grades depending upon the overall severity of the scarring present, regardless of the individual morphology of the scars19. The choice of treatment depends to a large extent on the morphological type as well as the severity of each scar present20,21. As with any other procedure, the dermaroller has its own limitations in the treatment of atrophic acne scars. Some morphological types of scars, i.e. pitted scars, linear scars, and deep boxcar scars, are less responsive to this type of treatment. Similarly, the most severe grades of scars, such as Grade 4 scars on the Goodman-Baron scale, respond less satisfactorily. However, microneedling can be added to surgical procedures in the treatment of deep scars to improve treatment results4. There are a number of advantages of using microneedling for the treatment of post-acne scars. It can be performed as an office-based procedure4, and microneedling is safe for acne scars on all skin phototypes5. Additional advantages include the cheaper cost, the comparative ease of the overall procedure, and also the minimal downtime associated with dermaroller treatment vis-à-vis ablative or even non-ablative laser resurfacing techniques11. The dermaroller can also be used on areas that are not suitable for peeling or laser resurfacing, such as near the eyes13. No demarcation line is formed between treated and untreated skin following microneedling, as is commonly seen after other resurfacing procedures. This means that specific areas of scarring can be treated without the need to treat the entire face or to ‘blend’ or ‘feather’ the treatment edges14. There is no risk of photosensitivity or any post-inflammatory dyschromia because the epidermis and stratum corneum are never removed10,21. Post-procedure infection is not seen because the microholes created during the procedure close immediately. A few adverse effects have been reported with microneedling treatment. These include pain during the procedure, transient erythema and oedema, and post-inflammatory hyperpigmentation (PIH)21. 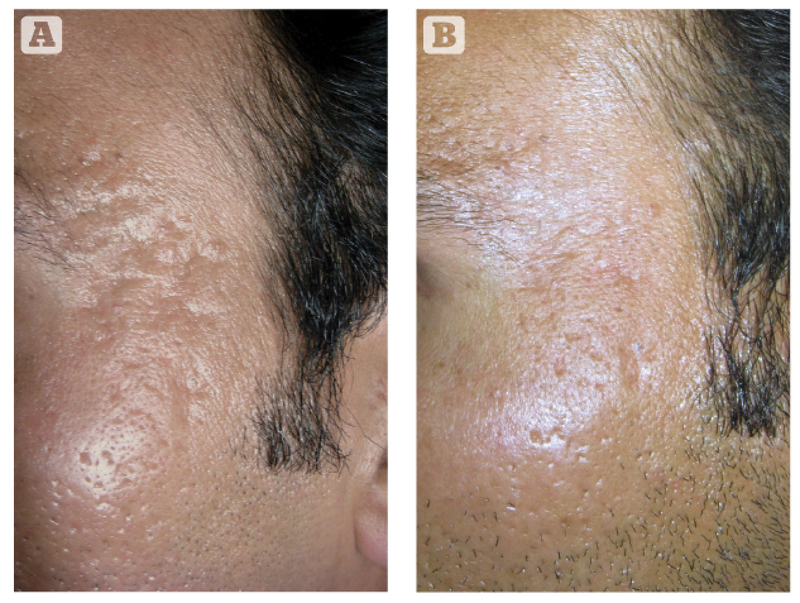 Regular- patterned scarring, consisting of multiple discrete papules in a linear pattern in the horizontal and vertical direction similar to a tram track, has been reported following microneedling for acne scars. These papular scars were predominantly seen over bony prominences like the temporal area, the zygomatic arch and the forehead. Use of a larger needling device or strong pressure while using the microneedling device predisposes to this side-effect. Therefore, caution should be exercised over bony prominences and it is recommended that needles smaller than 2.0 mm are used over the area22. Overall, microneedling seems to be a promising inclusion in the list of treatments available for post-acne scars. There are now a few pathological as well as clinical studies available in international literature that have documented a favourable clinical and histopathological response in the skin after microneedling treatment3,4,11. Leheta T et al, in their study found microneedling comparable to 100% trichloroacetic acid (TCA) in treatment of atrophic acne scars as far as efficacy and safety were concerned. 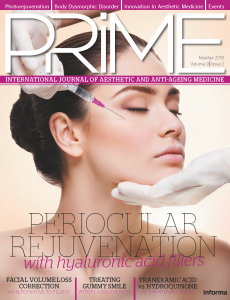 Microneedling had the added advantage of less downtime and less incidence of PIH as compared to TCA. Microneedling was also more effective on the rolling type of acne scar22. Aust et al, performed a retrospective analysis of 480 patients treated over a span of 10 years with microneedling for varied indications including scars, wrinkles, and stretch marks11. The patients were treated in South Africa and Germany and the authors also performed histopathological examinations in 20 of these 480 patients. Approximately 60–80% improvement was documented by the patients in this retrospective analysis and the histopathology also demonstrated a considerable increase in collagen and elastin deposition at 6-months post-operatively. The epidermis too demonstrated a 40% thickening of stratum spinosum and normal rete ridges at 1-year post-operatively11. Majid I, in a clinical study on atrophic facial scars of varied aetiology found microneedling to be a really effective treatment option in improving the appearance of facial scars4. The study used objective criteria in the form of Goodman-Baron grading system to analyse the results. A reduction in scar grading by one or two grades was taken as ‘good’ and ‘excellent’ responses respectively. The study found good to excellent results in 88.7% (32/36) of patients suffering from facial atrophic scars. Rolling scars were seen to respond best, while pit scars were reported to be the most resistant to this treatment option. The therapeutic effect obtained could not be compared statistically among patients with different grades of acne scars as there were only a few patients with grade four scars that were enrolled for the study. No significant adverse effects were observed in the study except post-inflammatory hyperpigmentation in one patient. To maximise results, microneedling can be combined with other acne scar treatments including subcision, chemical peels, microdermabrasion, and fractional resurfacing13. Leheta et al, in a randomised control trial, combined microneedling with 20% TCA for the treatment of atrophic acne scars and found the results comparative to deep peeling using phenol24. Similarly, Sharad J, reported excellent results in the treatment of post-acne scars, especially when associated with PIH, by combining sequential treatment with microneedling and 35% glycolic acid peel without increasing the adverse effects25. Microneedling can also be combined with fractional laser ablation with CO2 or Er:YAG laser to obtain better results. However, the combination has to be used with caution in patients with dark skin (type IV-VI) due to high chances of post-procedure hyperpigmentation. In such patients, a gap of 2 weeks between microneedling and laser resurfacing can reduce this risk. In a recent study microneedling was combined with 15% TCA and subcision for the treatment of moderate to severe acne scars. The majority of patients with grade four acne scars (62.5%) were reported to achieve excellent results while 31.8% patients with grade three acne scars achieved excellent scar amelioration in the form of scar reduction by two grades26. Besides acne scars, microneedling has also been used in the treatment of varicella scars and post- herpetic facial scars with good success4,27. Microneedling has found its place in the treatment of hypertrophic scars and burn scars as well. Aust et al, performed a study on 16 patients with burn scars wherein the authors employed percutaneous collagen induction treatment with Medical Roll-CIT (Vivida, Cape Town, SA). The authors claimed an overall improvement of approximately 80% on subjective assessment by the patients11. The authors also documented the normalisation of collagen/elastin matrix in the dermis at 1 year follow-up in these patients. In another study on hypertrophic burn scars, Kim et al found microneedling to be an effective treatment option by using a ‘dermastamp’28. However, more clinical studies on larger population groups are needed before microneedling can be recommended as a treatment option in hypertrophic scars of any aetiology. Microneedling or dermaroller treatment is becoming popular all over the world not only in the management of post-acne scars but also as an anti-ageing therapy. There are certain advantages with dermaroller or microneedling therapy over laser resurfacing as the former does not lead to any epidermal injury as is seen with lasers; there is minimal downtime associated with the procedure unlike ablative laser resurfacing, and the treatment is far cheaper. The treatment can be performed in an office setting and does not need any long-term special training or any expensive instruments. The use of microneedle rollers for enhancing cosmesis of the face through collagen induction and enhanced penetration of topical cosmeceuticals has been well-described1, 28. Transdermal delivery of drugs is a novel method of drug delivery, which is becoming popular all over the world. 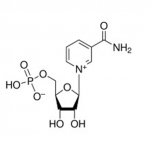 This mode of drug delivery bypasses the effects of digestive tract and first-pass liver metabolism and, therefore, it provides more consistent and reliable means of drug delivery than the oral route. When compared with intravenous injections, transdermal drug delivery is safer and less painful. Its greatest disadvantage is that only drugs with low molecular weight (MW) can penetrate the intact epidermis. To overcome this limitation, several enhancement methods, such as intra‑epidermal administration, iontophoresis, ultrasound, electroporation, and chemical enhancers are used30–39. It was in 1998 that use of microneedles was reported to facilitate the penetration of high molecular weight drugs through stratum corneum40–43 and hair follicles44–46. Microneedles create micropores in the epidermis, without disturbing the dermal nerves. These micropores facilitate an increase in skin permeability for many compounds, ranging from small chemicals47 to nano molecules, such as gene therapy vectors48. These microchannels are reversible in nature and close within a few hours of microporation; the time frame being dependent on the length of the microneedles. This reversible nature of microchannels is very advantageous for the controlled delivery of cosmetic agents/therapeutic compounds49. One of the recent applications of microneedling has been in the field of hair disorders. Beneficial effects of microneedling have been reported both in androgenic alopecia as well as in alopecia areata. Dhurat et al, in a study on 100 patients with androgenic alopecia found better therapeutic results with a combination of microneedling and minoxidil in comparison with minoxidil alone. The hair counts at 12-weeks as well as the response on a visual analogue scale were claimed to be statistically better in the patients receiving the combination when compared with the minoxidil-only group50. Another clinical report from Chanrashekar BS et al claimed a good therapeutic benefit in resistant alopecia areata when microneedling was combined with topical application of triamcinolone acetonide in a concentration of 10 mg/ml51. Microneedling is an underused treatment option that can serve as a cheap alternative to fractional laser resurfacing in multiple indications. Therapeutic applications of this modality are becoming diverse and are going to increase over the years to come. Liebl H. 2006. Abstract reflections about collagen-induction-therapy (CIT). A hypothesis for the mechanism of action of collagen induction therapy (CIT) using micro-needles (online). Abstract available at: http://www.genuinedermaroller.com.au/science/how-it-works (accessed August 28, 2014).